Here you will find answers to some of Heinz Field’s frequently asked questions (FAQ). If you don’t find the answer you are looking for, try viewing our Heinz Field A to Z Guide, Fan Guide or contact Guest Services. Please see this page for a list of parking maps. Where are your designated drop-off areas located? We have two accessible drop-off points around the stadium. One is located at the corner of Art Rooney Avenue and Reedsdale Street near Gate B. The other is located right after our Press Gate Entrance, along North Shore Drive, directly across from the Carnegie Science Center. No prior arrangements are necessary. For a map of these locations please view the Parking Guide. Do you offer bus parking? Bus parking is located in the CCAC Lot on Monument Hill at the intersection of Ridge Avenue and Brighton Road. For more information, please call Glenn Porter at 412-231-5746. How early can I get into the stadium? Stadium gates open two hours prior to kickoff for both Pittsburgh Steelers and University of Pittsburgh home games. Am I permitted to bring in a bag or purse? Logo on bag cannot exceed 4.5″ tall by 3.4″ wide. Small clutch purses, approximately the size of a hand, or 4.5″ x 6.5″ with or without a handle or strap, may be carried into the stadium along with one of the clear bag options. Each member of a family, including children, will be able to carry an approved clear bag and a clutch purse. Prohibited items include, but are not limited to: purses larger than a clutch bag, coolers, diaper bags, briefcases, backpacks, fanny packs, cinch bags, luggage of any kind, seat cushions, computer bags and camera bags or any bag larger than the permissible size. For more information, please visit this page. 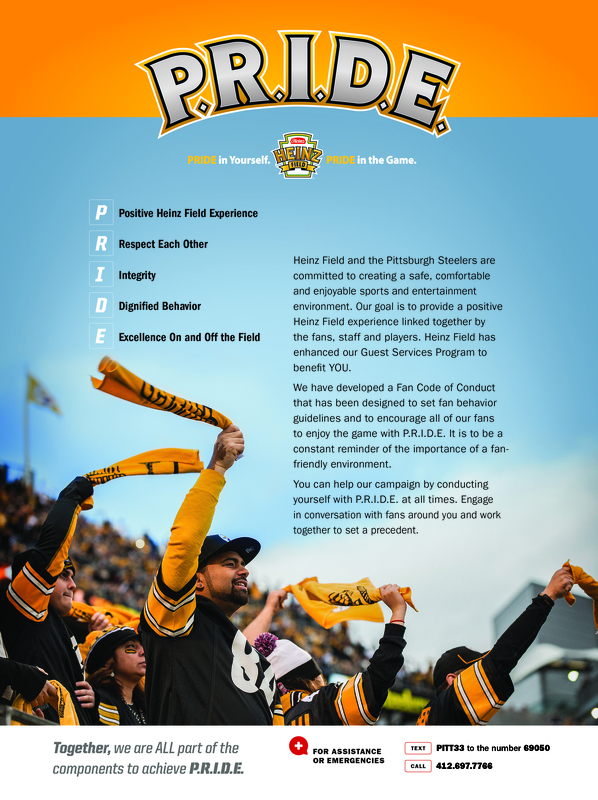 What are the Heinz Field Security Guidelines? For our Security Guidelines, please click here. Am I permitted to bring food into Heinz Field? Yes. Food items such as small sandwiches, chips, pretzels, etc. are permitted in as long as they are in clear Ziploc plastic bags. No brown bags or plastic grocery store bags are permitted. You may also bring water, juice, soft drinks, etc. in plastic bottles, 24 oz. or less with the original factory seal intact. Complete guidelines are available in our Fan Guide. Am I permitted to bring in my medical needs? Yes. Any necessary medical related items are permitted inside the stadium. These items should be carried in a clear plastic, vinyl or PVC bag that does not exceed 12” x 6” x 12”. A medical lane is available for entry at each main gate. Am I permitted to bring in a Diaper Bag? No. Diapers can be carried in a clear bag. Each member of a family, including children, is permitted to carry an approved clear bag and a clutch purse into the stadium. Please visit our Bag Policy page for complete guidelines on approved and unapproved bags. Seat cushions that are completely sealed, without zippers or openings, are permitted. If a seat cushion has an opening or has a seat back, it will not be permitted due to size and security procedures. Are blankets permitted in cold weather? Fans are permitted to carry in blankets. Blankets will be subject to security screening upon entering Heinz Field. What are your restrictions on cameras? Cameras (still only) are permitted as long as their use does not interfere with the game or other guests’ enjoyment of the game. Professional cameras or cameras with lenses (longer than 6 inches) and camera bags are NOT permitted. Video cameras and video recording of events at Heinz Field is prohibited. Do I have to enter a certain gate at Heinz Field? No. Fans are able to access all seating areas through any of the gates at Heinz Field. However, fans are encouraged to enter the stadium through the gate listed on their ticket. The gate listed on the ticket offers the easiest access to that particular seat. Does Heinz Field offer a Designated Driver Program? Yes. The designated driver booths, sponsored by Aramark and Anheuser-Busch are located at all three (3) main gates; Peoples Gate A, Gate B and Gate C. The booths are open until the end of the 1st quarter. Registrants must be 21 years of age with a valid driver’s license. In return for the promising responsibility for the safe and sober transportation of their group from Heinz Field, a registrant will receive one coupon redeemable for a soft drink. All registrants receive a “Designated Driver” paper wristband. Each registrant is also entered into a prize giveaway. Guests may register until the end of the 1st quarter. What if I left something in my car? Can I leave and then get back into the stadium? Exit and re-entry is not permitted at Heinz Field. In case of a medical emergency, please proceed to the Guest Services Kiosk, located inside Gate B. Who do I contact if I lost an item at the stadium? During events, lost and found items left in the seating bowl will be brought to the Main Guest Services Room, behind Section 104 in the FedEx Great Hall. After events, lost and found items will be transferred to the Main Security Office. Guests may call (412) 697-7135 Monday through Friday from 9:00am to 5:00pm to claim their lost items. Please note lost and found items from previous events will not be available for pick up on event days. Do you have Family Restrooms inside your facility? Yes, we have Family Restrooms throughout the stadium on every level. All Family Restrooms are equipped with baby changing stations. They are located behind sections 105, 124, 141, 205, 240, 505, 522, 529, and behind North Club sections 4 and 12. Guests must have Club Level tickets to access locations within Club Levels. What is WE Connect and how can I participate? WE Connect is designed to aid stadium staff in the event that a member of your party becomes separated from your group. Registration is available at all four Guest Services Rooms; behind Section 104 in the FedEx Great Hall, Lower Level North behind Section 123, Upper Level East behind Section 504 and Upper Level West behind Section 528. Where am I permitted to smoke in the Stadium? Heinz Field is a smoke-free facility. In consideration of the comfort of all ticket holders, we ask your cooperation. There are NO designated smoking areas inside the stadium, and re-entry is prohibited. Guests who fail to comply with the policy after appropriate warning may be subject to ejection from Heinz Field. 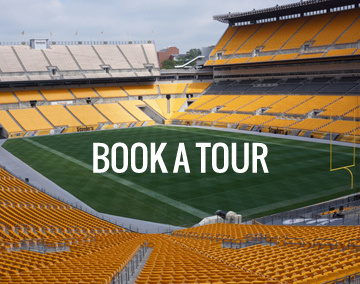 All season ticket holders and event guests are responsible for whoever utilizes their tickets and occupies that particular seat for any event held at Heinz Field. Does Heinz Field offer ATM’s? Yes. Guests can find and access an ATM inside Heinz Field behind Section 117 in the FedEx Great Hall, the lower level of the Southeast and Southwest Rotundas on South Plaza, behind Section 127 on the Lower Level North, behind Section 214, UPMC Club Level (must have Club/Suite ticket to access), behind Section 237, Hyundai Club Level (must have Club/Suite ticket to access), behind Section 516 on the Upper Level East, behind Section 539 on the Upper Level West. Guests can find and access an ATM outside Heinz Field along Art Rooney Avenue, parallel to Heinz Field, under the FedEx Great Hall sign. How can I exchange my tickets for accessible seating? Any Guest Services Room can assist with relocation. Guest Services Rooms are located behind Section 104, 123, 504, and 528. All exchanges must be done on the day of the event. Once I am inside the stadium, if I need assistance to my seat, what should I do? Our Guest Services Team Members offer wheelchair assistance from each entry gate to a guest’s seat location. Wheelchair assistance is available at the end of the game by request. Guest Services Kiosks are located inside all stadium gates. Guest Services Rooms are located behind Sections 104, 123, 504, and 528. Team Members at the Kiosks and the Guest Services Rooms can provide directions to seat locations, wheelchair escorts, and assist with any questions or concerns. Please refer to the Heinz Field Disabilities Guide. If I see a medical emergency or inappropriate fan behavior, who can I contact? You can text the message PITT33 to the number 69050 to report Fan Behavior or First Aid Emergencies. A Guest Services Attendant will promptly respond to assist you. You can also call our Fan Hotline at 412-697-7766 or tell the nearest Usher, Security Guard, or City Police Officer. What if I need medical assistance while attending a game? Heinz Field has five First Aid Rooms located throughout the building. They are located behind Sections 103, 123, 517, 541, and in between the UPMC Club and Hyundai Club on the east side of the stadium. All first aid rooms are staffed with City of Pittsburgh Paramedics. Does my child need a ticket to enter Heinz Field? For Pittsburgh Steelers games, all children, regardless of age, must have a ticket to enter. For Pitt Panthers games, if your child is over the age of 1, then they must have a ticket. If your child is under the age of 1, no ticket is necessary. Are there tickets available to purchase for Steelers games? 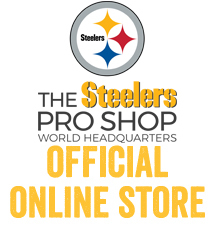 Fans looking to purchase tickets are encouraged to visit NFL Ticket Exchange to buy-and-sell verified tickets from other fans or visit Steelers Ticket Exchange to buy-and-sell verified tickets from other Steelers fans. 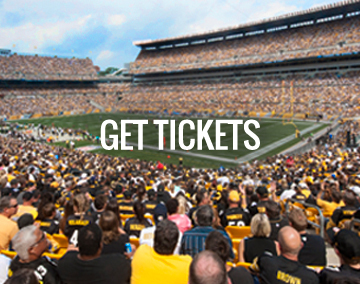 You can find more information on obtaining Steelers tickets here. 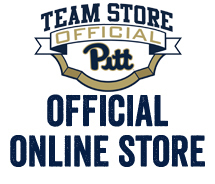 Are there tickets available to purchase for University of Pittsburgh games? Yes. To purchase tickets for a University of Pittsburgh game you must contact the Pitt Ticket Office at 412-648-7488 or click here. Where are your escalators located? Escalators are located inside of all gates, Peoples Gate A, Gate B, and Gate C. However, the escalators inside of Gate C only transport guests to the Hyundai Club Lounge, Sections 229-240. Where are escalators located for North, UPMC Club, & Hyundai Club Level ticket holders? They are located inside Gate B as well as Gate C.
I have tickets for the game on the Club Level, what does this include? Club tickets allow guests access to the climate-controlled Club Lounges on the East or West Side of the stadium. Food and beverage are not included but can be purchased on these levels. Guests possessing a North Club ticket do not have access to the UPMC Club (East) or Hyundai Club (West). Guests possessing a UPMC Club or Hyundai Club ticket do not have access to the North Club Lounge or the PNC Champions Club. Where are the elevators located? Am I able to use them? Elevators are reserved for suite ticket holders, properly credentialed staff/guests, and guests with disabilities. Guests with disabilities are permitted to ride the elevator both before and after the game with one (1) companion. Elevators are located inside the Press Gate along North Shore Drive, inside Suite Entry B, and inside Suite Entry C.
Are there food selections fit for children? Yes. Kid Friendly Items are located at the concession stands near Sections 108, 119, 511, and 535. Items offered are 1/8 hot dogs, 46 oz. popcorn, 12 oz. soda, and assorted ice cream novelties. Do you offer gluten free items at Heinz Field? Yes. Items such as the following are all gluten free: Nachos Grande, Peanuts, BBQ, Hot, and Medium Wings, Chicken Breast (no bun), Super Dog w/Chili (no bun), Cheese and Sauerkraut, Smoked Sausage (no bun), Footlong Hot Dog (no bun), Super Dog (no bun). Do you have vegetarian options at Heinz Field? Yes. Items such as Soft Pretzels, Nachos Grande, Peanuts and Pizza are available at various concession stands located throughout the building. Where can I send comments about my Game Day Experience at Heinz Field? Am I able to put someone’s name on the video board for their birthday? Guests wishing to have a birthday message placed on the Video Board need to call (412) 697-7600. Calls are accepted the Monday prior to the home game. Only 25 birthday messages will appear per game. We do not accept anniversaries, wedding announcements, or engagements. Is there an opportunity to be on the field pregame? Yes. The 1st-IN-GOAL promotion, sponsored by Steelers Nation Unite, will give the first 25,000 fans who enter Heinz Field a scratch and win card, with the opportunity to win exclusive prizes from the team. VIP Game Day Tours also give fans the opportunity to be on the field pregame. More information on VIP Game Day Tours can be found here.